One of a Kind! 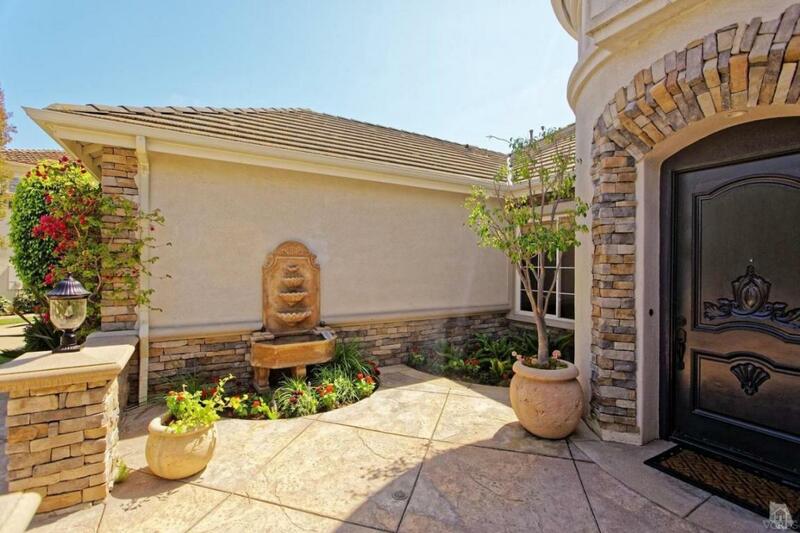 Absolutely Enchanting Single Story Private Palermo Gated Estate in Dos Vientos. Residing on approx 1.5 acres nestled at the end of a cul de sac. The expansive grounds are Truly Spectacular Boasting of the Best Views imaginable all with ultimate Privacy. Enjoy amazing Sunrises and incredible Sunsets.One would think you walked into a Storybook. Featuring 4 bedrooms, 3 1/2 baths, library/office w/fireplace in the Main house.Casita features a full bath,kitchenette,brand new woodlike tile floors, fireplace and closet. Formal entrance welcomes you to a light ,bright Stunning Open floor plan w/ Maple Hardwood floors and Travertine throughout,designer carpet, New Custom Designer Paint throughout , recessed lighting and surround sound. Chef's kitchen w/granite counters ,built in frig,S&S appliances,butler's pantry & a built in desk. Opens to Spacious Family room w/a fireplace,built in Media center w/views to a Breathtaking,lush,tranquil Enchanting backyard an Entertainer's delight, built in BBQ, Basketball sport court. Master suite w/built in &large walk in closet, luxurious remodeled bath sunken tub w/spa jets &travertineSecondary bdrms.w/ensuite baths & jack/jill set up. This is your Dream Home! Calif Distinguished Sycamore Canyon K-8 School. Sold by Timothy Ready BRE#01748919 of Ready Properties. Listing provided courtesy of Raymi Schwartz DRE#01748919 of Pinnacle Estate Properties.